Qu-16 reshapes digital mixing, combining innovative design and functionality to create a professional mixing experience. The 800 x 480, 16 million colour touchscreen and its dedicated data encoder form the heart of the Qu-16 interface, providing super-fast, easy access to all settings. 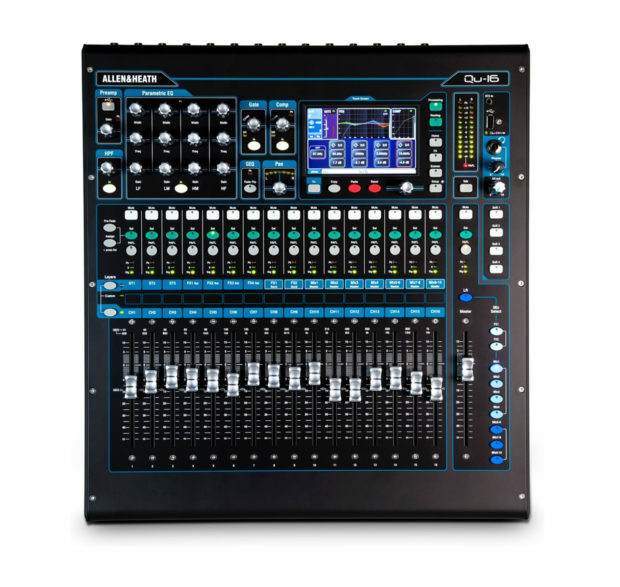 It also comes with three stereo inputs, 12 mix outputs, seven monitor mixes, four FX engines, two dedicated FX sends/returns, 24 x 22 USB audio interface and so much more. You can enhance your next event by hiring your own mixing desk – want to learn more? Speak to ITR today.